The natural features of your country (mountains, lakes, deserts, oceans, etc.). Include a screen capture that shows these features. The fourth grade class has been watching videos about Edith Kaphuka, a 13-year-old student at Domasi Mission Primary School in Zomba District, Malawi (Global Lives Project shoot in 2007). The oldest of four girls, Edith has many responsibilities at her home in Ngwale Village, such as fetching water, cleaning the dishes, and gardening. Her little sister, Memory, is her best friend; when the two are together, they are nearly inseparable. While Edith and her family are Yao, they more readily speak Chichewa, Malawi's national language. They have taken notes about how their lives are similar and different than Edith's. They will be making a magazine showing what they've learned. From the "Office Button" select "New"
Open the "Malawi Project Template"
Click on "Photos from Malawi"
We will be practicing our multiplication tables! I can't begin to tell you what a great job this class has done keyboarding. So many of them are so close to learning all their alphabetic keys and basic punctuation. We are going to have one more class to see if we can't get them to the finish line. Here are the two links they will need. Click on the image below if you are still learning your keys. You can only receive a piece of candy if you complete a new lesson in which you have not received a candy before. Click on the image below if you want to take the typing test. If you want to win the "prize", you must use the orange cover and type at least 10 WPM with 85% or greater accuracy. NOTE: Most people find 2 or 3 minutes to work the best and Aesop's Fables to be the easiest. Today students practiced their multiplication tables by playing some fun games. click on the image below to access a page of Multiplication Activities. All of the activities where selected because they allowed students to select the area they need the most work. I am impressed with the keyboarding progress of the fourth grade class. As an incentive, students receive a small candy prize after finishing their second lesson of the day and for each one they complete after that. 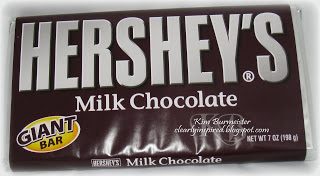 For all students that pass the "final keyboarding test", I have a giant candy bar or equivalent prize. The final keyboarding test includes all the alphabetic letters and punctuation. Students must type 10 WPM with 85% or better accuracy. The final typing test is not part of Typing Agent. Anyone who finishes all the lessons in UNIT 1 over the holidays will get a prize when they get back.